I had no idea what a clinometer was until a few weeks ago when we started talking about an extension project for our 9th grade math students. We started with the idea of measuring angles with a protractor and a scope- essentially a coffee stirring straw. Then it hit us to search the app store and see what they had available. This just highlights the shift in thinking teachers take on in an iPad classroom. Somehow our thinking needs to make this shift from "what materials do I have in my room" to "how can this device and its apps impact student understanding?" I understand the danger of jamming the iPad into our content for the sake of using the iPad and calling a it revolutionary device. But honestly this a perfect exampleof how we can take real life measurements using a device that prior to now very few students would have access to. After searching a few apps we discovered the clinometer and instantly we had our iProject (iPad project). 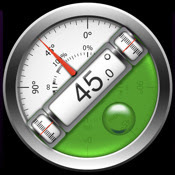 The clinometer leverages the iPads accelerometer and returns the angle of elevation or declination of your line of sight when looking through a scope attached to the top edge of the iPad. 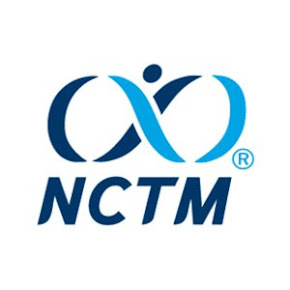 In groups of two to three students they were given limited instructions and supplies and asked to use what they know about trigonometry to find the height of objects larger than them. 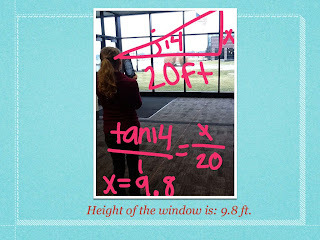 Employing the skitch app students snapped a picture of their angle of elevation and calculated the height of their objects. Overall, it was a really fun project that got students out of their seats and calculating the height of objects using trig ratios. Posted in clinometer, iPad, math, skitch, student work . Bookmark the permalink. RSS feed for this post.